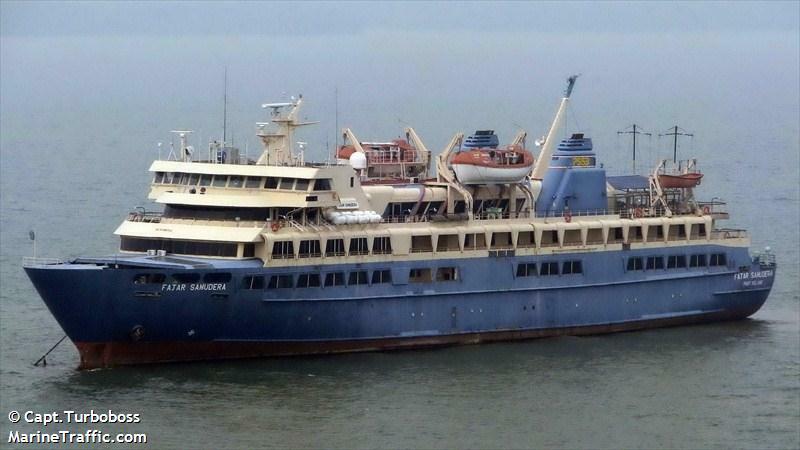 The 471 dwt passenger ro-ro ferry Fajar Samudera sank while at anchorage off Port Klang, Malaysia. The Fajar Samudera had been detained by court order for over three years when it sank. No reports of injuries. The vessel rests in 12 meters of water and is partially visible at low tide. A light sheen of oil has appeared around the wreck. The pollution is suspected to come from the engine room bilge. Authorities have surveyed the wreck and placed a buoy to warn vessels. Reports state the sinking was likely due to a leak in the hull due to the lack of maintenance during the last three years.